Mountain and the Prosanova festival — Blog — TypeOff. After returning to Germany from Reading last September, I had to wait around Frankfurt and Berlin for a few days before I could move into my new Offenbach apartment. 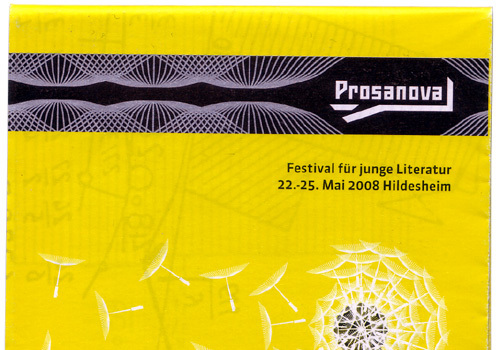 While spending a few nights in a friend’s study, I noticed a small brochure for an annual literary festival in Hildesheim, Prosanova. At least in 2008, the festival’s logo was set in Mountain, a small type family I produced for Volcano-Type in 2006. While the fonts do at least sell a little bit, this was the first example of Mountain in use that I’ve discovered, apart from materials that Volcano-Type and its sister companies have created with it. A slightly enlarged scan of part of the Prosanova brochure, with the logo set in Mountain. I must admit that this made my month. Or least, it would have made my month if September hadn’t already had so many other awesome things happening in it, like finishing my dissertation and my MA degree, traveling off to the ATypI conference in St. Petersburg with the coolest people ever, or what have you. 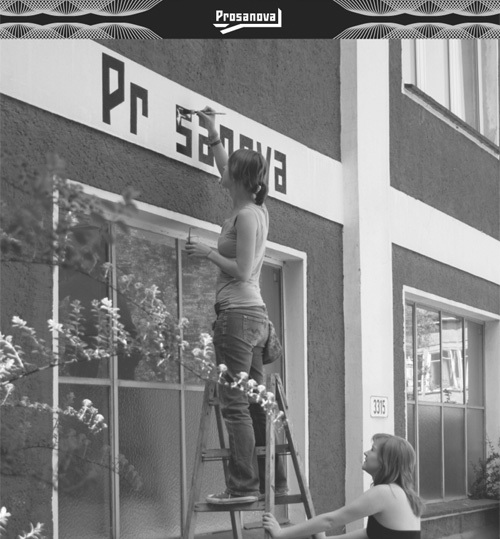 Still, the Prosanova logo’s letters did cry out to me from across the room, like a lost dog looking for its master. I totally swear that I wasn’t snooping around someone else’s apartment! A photo of those delicious letters being hand-painted for the festival. Now, I tell you, if this is not the most awesome example of a font in use, I don’t know what is. Above, nine of Mountain’s letters are being hand-painted on a wall. Sweet!